Assemble bankers box and use hot glue to secure the handles down. 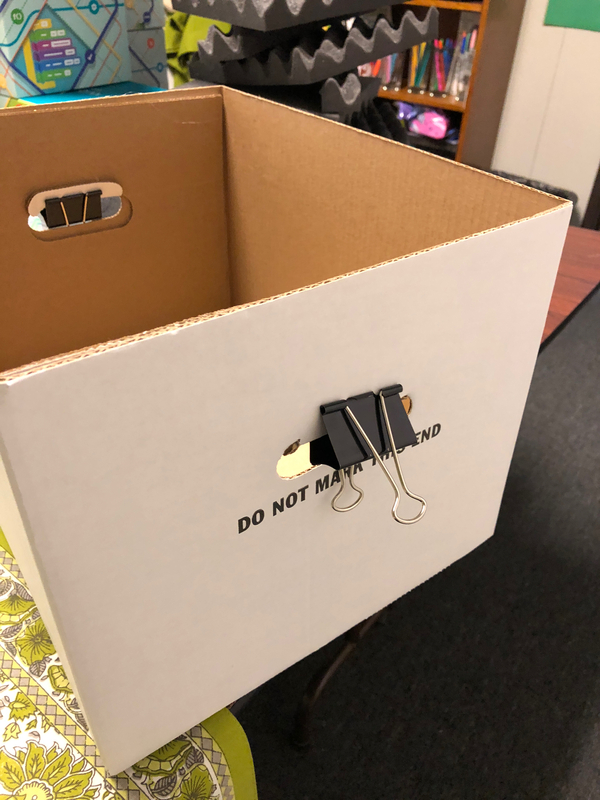 A binder clip will hold it until dry. One of the 12×12 egg crate tiles will fit in the back of the box perfectly. Put the other three tiles on the sides and inside top. No need for padding on the bottom. Use a sharpie to mark where to trim and use scissors to cut down. A few dabs of hot glue on the corners will do fine for securing to sides. That’s it! This is a great project for your room mom or PTA for larger numbers. I made 6 for under $50. 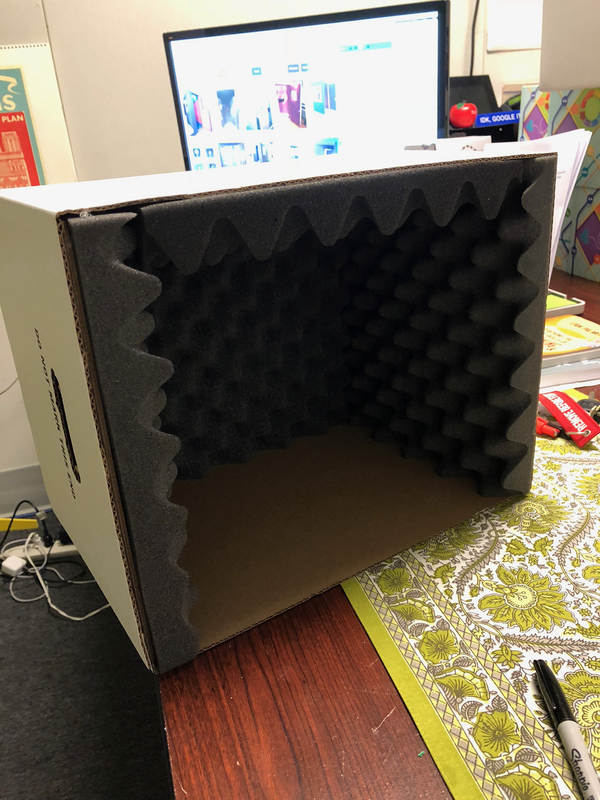 They’re not the cheapest, but if you reuse bankers boxes that you can find and maybe source out some used egg crate material you could do them for pennies. 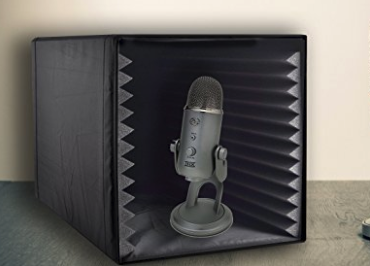 This one on Amazon is $36 with Prime- for just ONE! Tuesday marks my last day as an educator in Inglewood. Do you like kids? Have you ever been a camp counselor or babysitter? Do you need a job next year? Yes on all points. All my life, people asked if I wanted to be a teacher when I grew up. After all, I’d been a ballet teacher, a babysitter, a tutor, a camp counselor. I always said, “NO WAY!” I did not want to teach. Despite this, I answered that ad and joined the credential program at UCLA’s Graduate School of Education. The concept was interesting. After a 20% pay increase at LAUSD resulting from strike action in 1989, teachers fled Inglewood Unified School District. IUSD and UCLA struck a deal where UCLA would train teacher candidates for three quarters (Winter, Spring, and Summer of senior year.) Then IUSD would hire them on emergency credentials, while UCLA conducted weekly seminars and a master teacher would support them with weekly observations. I was placed at Beulah Payne Elementary School just north of Century Blvd and west of Hollywood Park. My classroom was an old, long, narrow temporary bungalow. Every sixty seconds, passing jets landing at LAX would rattle the thin walls, preventing me from hearing anything. I got over that after about two weeks, and from then on, I barely heard them at all. 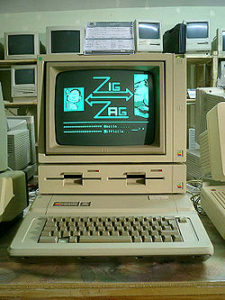 I spent seven years teaching fifth grade, during which time, my students would go to the computer lab (ten Apple IIe computers) and learn to word process with a wonderful, patient instructor who embedded that skill in fun science and social studies lessons. I would spend occasional after school time in that lab, pecking away and learning what I could on the lunchbox Mac that was reserved for teacher use. 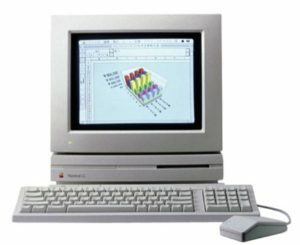 One day, I arrived in the lab and saw something that rocked my socks: a Macintosh LC ii, affectionately known as the pizza box with a color monitor. From that day, I was in Room 1 every day at lunch, after school, and probably caused Mrs. McBride to tire of me. Something about this computer just spoke to me. After about six years, Payne School was pushed to apply for California Distinguished School status (which we earned- the first in Inglewood.) The principal at the time decided that a more modern computer lab with a certificated instructor would look great on the application. I was the natural choice to take that position (being the biggest nerd on campus), so I left the classroom and entered the world of educational technology full time. The lab had 28 computers, Mac LC 500s (I think.) They were secured to the desks with metal enclosures and wired to a LAN running SuccessMaker software. 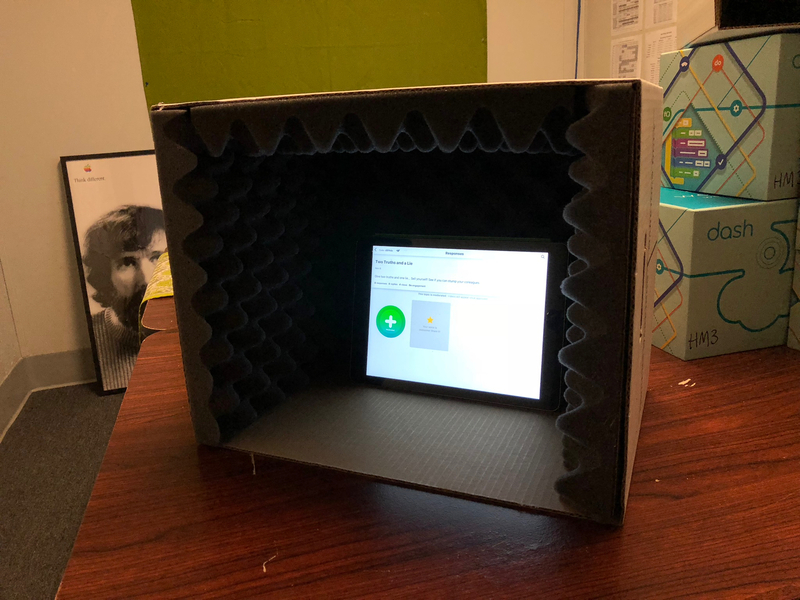 I chafed at the CAI model, because even then I felt that students should be creating on computers rather than just using a digital workbook. I really didn’t even need to be there because administering the program was barely technical and not creative at all. In my spare time, I designed and coded Payne’s first website, complete with original graphics. In 1999, I applied to Pepperdine University’s Online Masters in Educational Technology (OMAET). Joining a group of 22 like minded educators and administrators in a program completely changed my trajectory. I learned about constructivism, zones of proximal development, and Seymour Papert. I attended CUE and TCEA. I never knew that the edtech community was so huge. I learned more in the OMAET program than I had my entire undergraduate career. 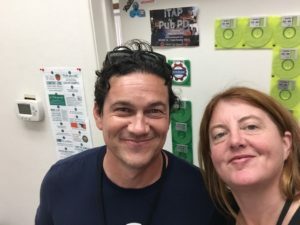 Funding for my out-of-classroom position ended after seven years, and I went back into the classroom, this time second grade due to class size reduction. Once class size reduction ended, I returned to upper grades. Fortunate enough to have a shared rolling cart with 30 netbooks and wifi, my students were pretty connected. This cart was finicky, and I earned the title of netbook whisperer. Most of my colleagues didn’t want to bother with netbook wrangling, so I ended up with the lab pretty much full time. My students did research online, wrote papers, made PowerPoint presentations, and served as a model classroom for technology integration. I continued to learn as much as I could about educational technologies. There were rumblings at the district level that they were writing a position for out of classroom edtech. I knew that this would be the position for me. It took about two years before the position was flown. I applied for the job as instructional coach for technology in June of 2015 and started in August. I was so fortunate to be paired with the amazing Isaiah Olsen as my partner. We created professional learning experiences, started a monthly Appy Hour event, even had #PubPD at Three Weavers Brewing Company. He pushes me to be my best at all times. 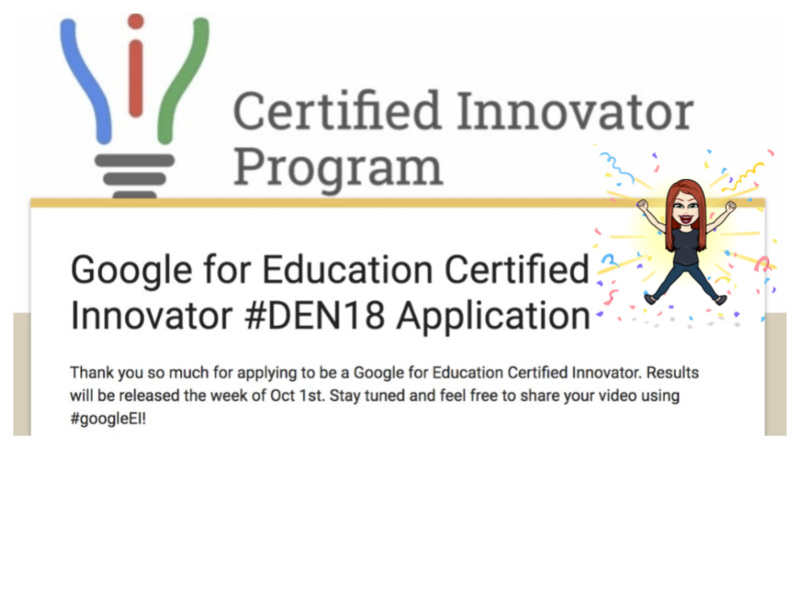 I became a Google Certified Educator, Levels 1 & 2, and in February of this year, I was selected as a Google for Education Certified Trainer. This summer, I found a listing on EdJoin for an itinerant technology TOSA in a nearby district and applied. It was about two weeks before I received an email for an interview, which was a couple of days later. My interview was a disaster! I was so nervous and tongue-tied, but the panel was incredibly kind, and by the end I was able to pretty much untie my tongue and show them that I was a competent technology presenter and advocate for edtech. The next day, I received an email offering me the position. The next week had some sleepless nights and not a few tears, debating whether I would be able to leave IUSD for a new adventure or stay. Staying would be easy, but I wanted a new challenge, so I accepted the position and signed my contract. I have been in education for 16 years and the last two years have been extraordinary. Two years ago I applied for a TOSA position for Educational Technology. 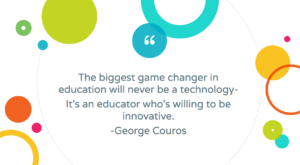 This position seemed like a natural fit for me as I have always been an early adopter when it came to technology and was often asked to help facilitate professional development at my school site. I’ve always enjoyed helping other teachers learn how to use new technologies to help their students, but I really had no idea what my position would look like on a district level or where to begin. Most of all, I had no idea what I was missing as far as my own professional growth and learning. This shift began when I attended my first EdCamp. Right away, I was able to connect with like-minded educators who had also woken up very early on a Saturday morning to come together and share ideas, collaborate, and talk about issues that mattered to them regarding education. It was an amazing learning experience. There I met some leaders in educational technology and people who have mentored me. I still rely on these folks for their expertise and advice. My biggest take-away was how educators were continuing their sharing, collaboration & communication by staying connected through Twitter. I had been on Twitter for years, but never supposed educators were using it. I thought Twitter was only for famous people. I now have access to 24 hour/ 7 days a week professional development thanks to Twitter. EdCamp has changed my trajectory because I realized how important continued professional development and learning is so important to being a leader in education. It is also so inspiring to connect and learn from like minded educators. Please don’t pass up the opportunity to attend one of these events. Free to all attendees. This helps ensure that different types of teachers and educational stakeholders can attend. Hosted by anyone. 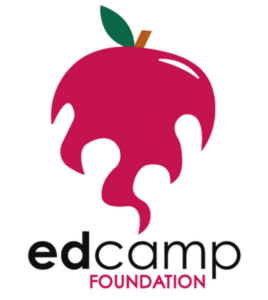 School districts, educational stakeholders and teams of teachers can host EdCamps. Participant-driven. Sessions are determined the morning of the event, and there are no prescheduled presentations or keynotes. The goal is to keep sessions spontaneous, interactive and responsive to everyone’s needs. Open to anyone who wants to present. All teachers and education stakeholders are professionals worthy of sharing their expertise in a collaborative setting. Reliant on the law of two feet. Participants are encouraged to actively self-select the best content and sessions. EdCampers should leave sessions that do not meet their needs. This provides an effective way of “weeding out” sessions that are not based on appropriate research or not delivered in an engaging format. Noncommercial and have a vendor-free presence. It is, after all, about learning, not selling. 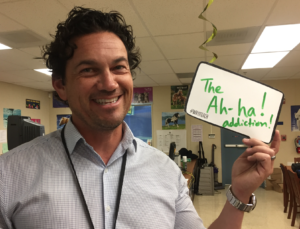 Isaiah Olsen is an instructional coach for technology at Inglewood Unified School District, considers himself a dendrite developer, and is active in musical theater with his family. His Twitter handle is @isaiaholsen_edu. 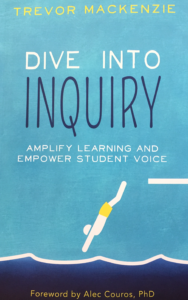 High school English teacher Trevor Mackenzie’s recently published book by EdTechTeam Press, Dive Into Inquiry: Amplify Learning and Empower Student Voice, presents an approach to personalized learning requiring students to eventually take ownership of their own learning. A tough student situation sparked his own dive into inquiry. Mackenzie sought ways to retain students who might otherwise seek alternative classes or drop out altogether. His seven year journey culminated in the publishing of this book. This easy to read book (about 130 pages) outlines shifts in pedagogy, types of student inquiry, essential questions, creating an authentic product and displaying it publicly. He starts with some classroom management strategies, such as being flexible, teaching real skills, making eye contact with students, and taking the time to get to know them. Inquiry based learning is not about telling students to find something that they want to learn about and go do it. Inquiry based classrooms aren’t about the teacher sitting in the back of the room checking email and correcting spelling and grammar. This approach is about scaffolding students’ journey into learning about something that they care about and guiding this trip by assisting students in developing a free inquiry proposal and providing prompts. Sprinkled throughout the pages are QR codes that link to YouTube videos of student work, some his own and some from across the globe. These students have produced work and broadcast it to the world. Video evidence is one way students demonstrate their learning, as well as writing, video/audio, photography, and dance. His learners record evidence of their learning with storyboards, compilation of resources, their learning process, photography, feedback from mentors or critics. Mackenzie recommends starting small, but with a plan. You can start by revising an existing unit of study, designing a syllabus with your students, or infusing a smaller chunk of learning with the Dive Into Inquiry process, which scaffolds each step into the next. Plan, do, iterate, and reflect. Put an end to boring email communication! Smore provides email newsletters and electronic flyers with a variety of templates, colors, and styles. You can add your own photos and links, then send to parents, colleagues, and students. 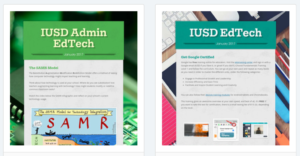 The educator rate is $79/year, and allows you to set your flyers to private in order to protect your students’ privacy. Perks of the paid version also include additional educational background graphics, no ads, 5000 monthly emails, and the ability to remove the Smore branding. 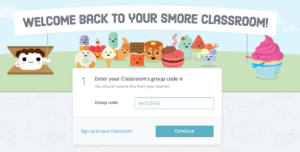 With the enhanced options that the paid account provides, you can have students build their own newsletters for an authentic audience in the Smore “classroom.” (See linked image below.) Make sure you are following your district’s guidelines for student data should you have students creating content. Powerful analytics show who has received your newsletters, opened or clicked for more information. No more, “I never received that information,” comments. You can see where the traffic is coming from, and where the click throughs are going. The Smore newsletters are optimized for viewing on mobile devices as well as on a desktop mail application. They can even be printed as infographics for those hard copy enthusiasts. I initially had an issue with my district’s email server blocking the newsletters from reaching my teacher and administrator audience. Fortunately, I was able to talk directly to the network administrator and he whitelisted the Smore domain and there haven’t been any issues since then. 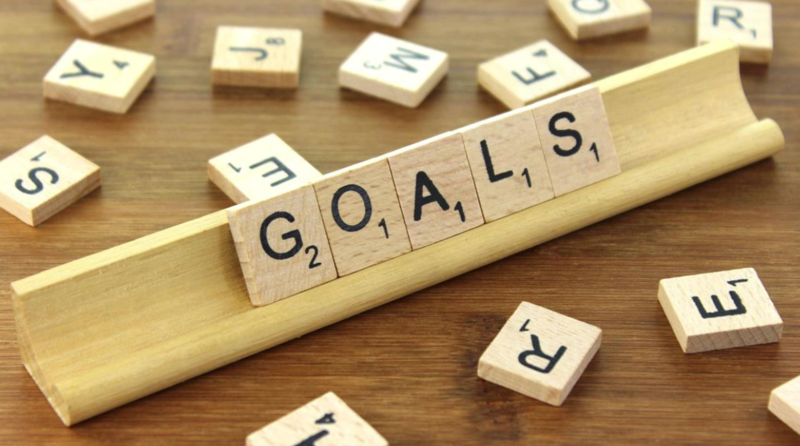 Instructional coaches for technology are becoming more prevalent to begin to bridge the gap between where schools, teachers, and students are to where they should be. 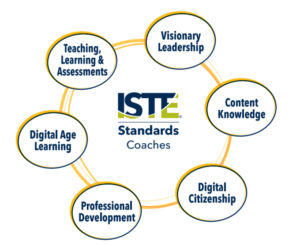 The ISTE (International Society for Technology in Education) Coach Standards outline key strands of successful leadership, teaching/learning, professional development, and professional growth. Visionary leadership: Tech coaches work with stakeholders to develop a shared vision for technology integration for all students and teachers. Teaching, learning, and assessments: Coaches assist teachers in developing rigorous educational experiences and assessments for students by modeling and coaching using a wide variety of strategies, engagements, and tools. Digital age learning environments: Coaches maximize student learning in all modalities by modeling classroom management, maintaining digitals and resources for students and teachers, evaluate use of adaptive and assistive technologies, troubleshoot problems, and collaborate with teachers and administrators. Professional development and program evaluation: Tech coaches conduct needs assessments, professional learning programs, and evaluate effective practices of teachers and examine technology implications of student learning. Digital Citizenship: Tech coaches model and promote equitable access to technology, model and facilitate ethical use of digital information and technologies, and promote diversity and global understanding by collaborating locally and globally with stakeholders and the larger digital community. Content knowledge and professional growth: Technology coaches are familiar with and demonstrate competence in pedagogy, content, as well as the areas of adult learning and leadership. Continual learning is necessary to implement student, teacher, and administrator ISTE standards. What do you see as the impact of the ISTE Coach Standards on your practice? How will you continue your professional growth and improve content knowledge? What tools do you use to conduct program evaluation? Do you work with other coaches to reflect on your programs at the end of the year?